What a beautiful end result... really gorgeous. So, I see there's a new post from you in my Google Reader, and I get STOKED because I really like your writing and I've been so ready for a new post. And then, I see... it's a video. And I'm a little sad but only for about two seconds, because CHARIOTS OF FIRE? How awesome is that? And, then Sad Keanu? I think you are my most favorite person in the world right now. I don't know HOW you did it, but this thing is edited in kinda the same way you write. It's really cool. I love it. Sad Keanu and I approve of your usage of the Mariah Carey font (aka Ironclad). This is awesome. No other words. Just awesome. It absolutely made my Monday. HA! Boy, did I need this this morning. Thank you for making me smile. I just love you to pieces. Beyond awesome. I especially love the tomato sculptures upon which the ingredients perch. Elegant, interesting and fun. And yes, thank you, Vangelis. This is amazing -- Sad Keanu plus chariots of fire plus some of my favorite flavors. . .now I'm hungry. Perfect. That's all, it was perfect. Just another person who has had their day made by visiting Alinea at Home. You're the best. What a cool post. I loved watching your movie, what a glorious result. Ya know, I've been thinking about this. 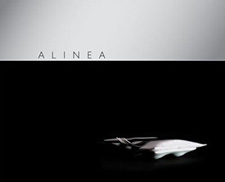 All the Alinea dishes take a lot of time to prep; it's amazing that they can do them for service in the restaurant. Obviously the staff are extrememly dedicated and talented to pull it off day after day. Thank you for making these things so I don't have to. Really really great! I'll bet you had fun doing it too. Do you think anyone outside of the Alinea kitchen has succeeded with those mozzarella balls? Thanks for today's smile. I loved the video format for such a long and complex recipe. Bravo! That was great Carol! You are totally nuts -in a good way, of course. Just beautiful. Does it hurt? How much YOU ROCK? Because you do. That was great. This video is why i LOVE your blog. Every week I visit your blog from my office in Belgium. Each time you amaze me. Keep on rocking! this made me so so happy. esp the cheese blobs! That is so incredibly cool. Well done. I was so enthralled by your video and crazy cooking that I burnt my pancakes! Just when I think you can't top yourself you do. Keep rockin' in the kitchen Carol Blymire! That was RAAAAAAAAAAAD!! Way rad! From someone who's worked for the man himself - LOVED the video. Hilarious. Even your failures are inspiration. TOO FUNNY. Had to wait till my SLOW internet worked. Well worth a gander. You rock! I love your older blog (French Laundry) as well. As usual, pure AWESOMENESS! Thanks for sharing. "Tomato..." is exactly the dish I describe to people when explaining how insane the Alinea "cookbook" is. I am blown away that you pulled it off solo.